Discipline. As institutional investors, Cutler believes that clients deserve disciplined advisors. We do what we say. For equities, this means adherence to the process initially developed by Ken Cutler. Yes, markets have changed, but dividends matter. Risk matters. We continue to manage our proprietary strategy using Mr. Cutler’s investment approach and view ourselves as stewards of his philosophy. For fixed income, institutional advisors need to understand the client’s constraints, identify the appropriate benchmark, and create portfolios within these parameters that meet the Cutler team’s investment outlook. Our commitment is to be disciplined in our adherence to our process and client guidelines. Research. Understanding why a certain decision is made is a fundamental criteria for a sound investment. We believe in having a fundamental basis and investment thesis behind every portfolio decision. We use a top-down, macro-economic, lens to structure client portfolios. Individual positions are identified using a criteria based, bottom-up, approach for individual security selection. Portfolio construction should not be an art; we believe it should be more of a science. Team. 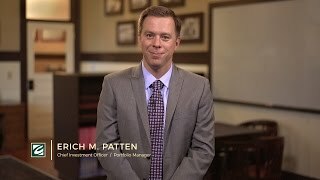 At Cutler, we believe that, “Institutions don’t manage money. People do.” We take great pride in the experience, education, and background of our team. We continue to build upon this great foundation, growing our team’s expertise and investment experience. Our strength is our diversity of thought and our ability to form consensus using these different points of view. Mutual Fund investing involves risk, principal loss is possible. Cutler Equity Fund - Investment in the Fund is subject to investment risks, including, without limitation, stock market risk, management risk, large-cap company risk, and mid-cap company risk. Cutler Emerging Market Fund -Investment in the Fund is subject to investment risks, including, without limitation, foreign investment risk, emerging markets risk, currency risk, stock market risk, ETF risk, management risk, large-cap company risk, mid-cap company risk, and new fund risk. Cutler Fixed Income Fund - Investment in the Fund is subject to investment risks, including, without limitation, management risk, fixed income securities risk, interest rate risk, credit risk, call risk, liquidity risk, and mortgage-backed securities risk. For more information about the Funds, including the Fund's objectives, charges, expenses and risks (including more information about the risks listed above), please read the prospectus.